2018 L.L.Bean U.S. Ski Jumping and Nordic Combined Championships at Utah Olympic Park and Soldier Hollow. Photos available for non-commercial use by athletes. All others please contact Tom Kelly for usage. 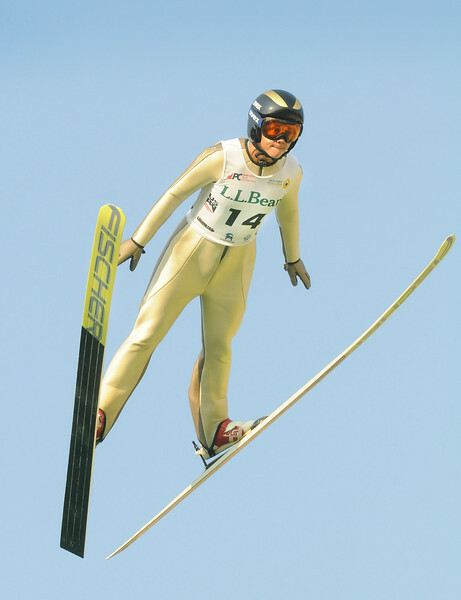 Nita Englund soars to gold in the HS134 event at the L.L.Bean U.S. Ski Jumping Championships.